I have two long running themes in my life (aka- lessons that I keep learning over and over and over again). The first is that God’s way is always better. 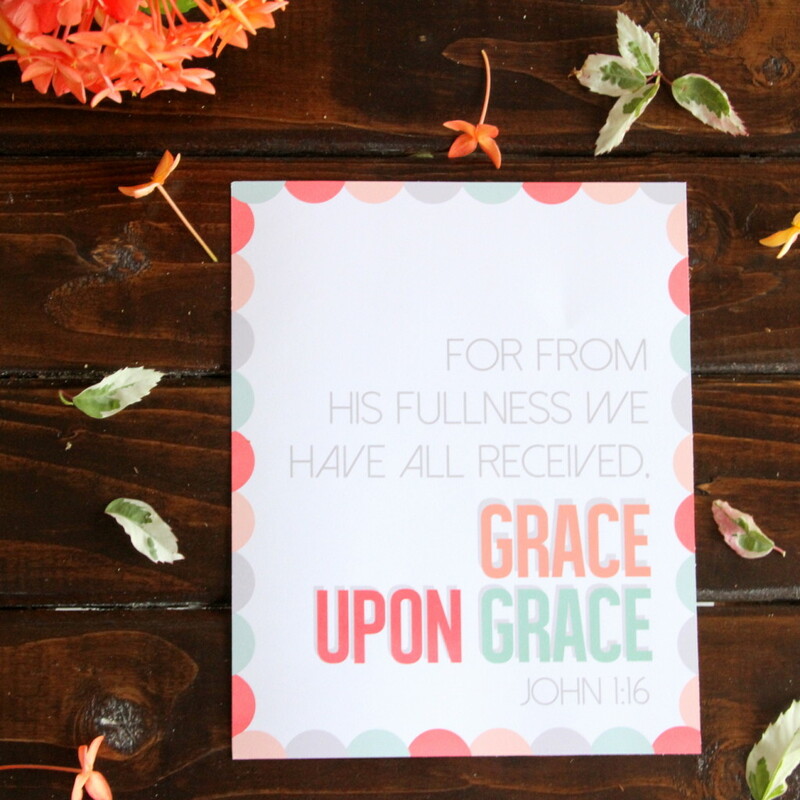 And the second is that there is grace and redemption and blessing in every single season- on mountain tops and in valleys, in seasons of ease and seasons of difficulty. A month after I added that verse to Scripture Typer (sidenote- if you are wanting to memorize Bible verses, I can’t recommend the Scripture Typer app highly enough- it’s been a game changer for me! ), we found ourselves in a very different, and not-so-easy season. 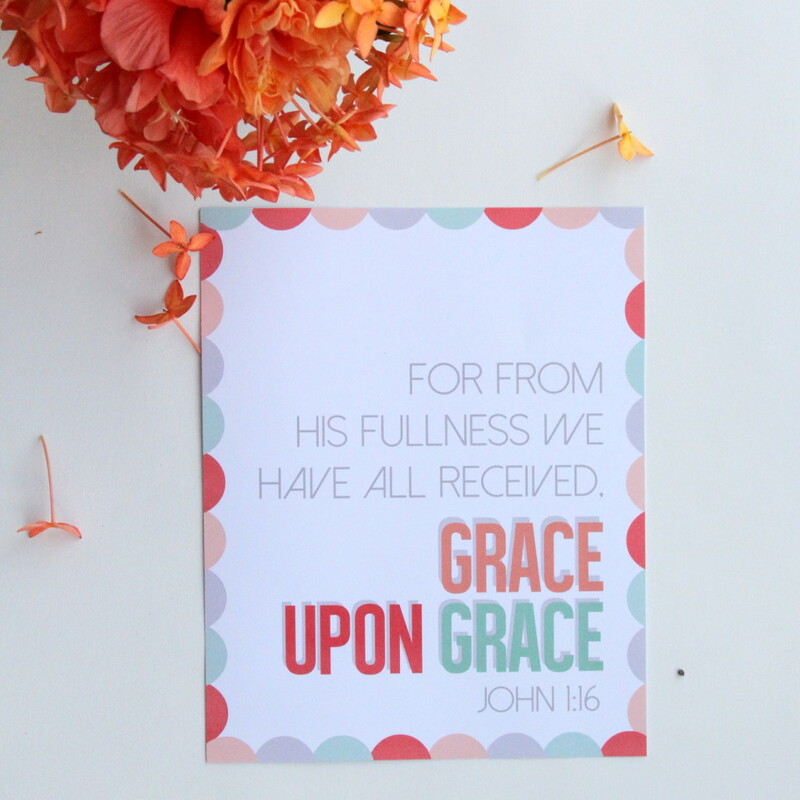 And yet- grace upon grace upon grace. 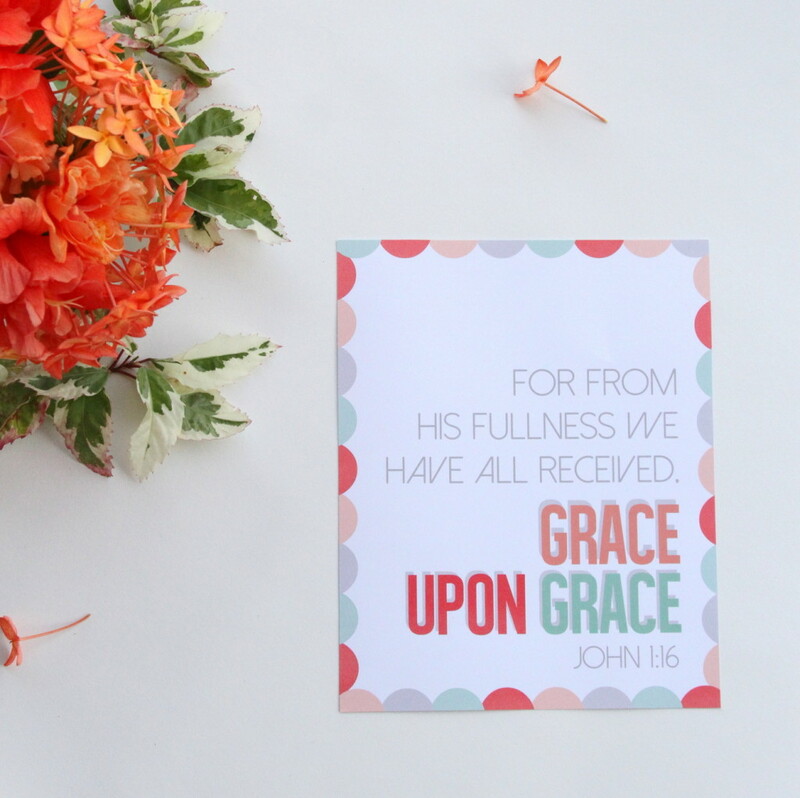 Friends, there were glimpses of redemption and growth and blessing and grace at every turn, even in the midst of a really difficult time. 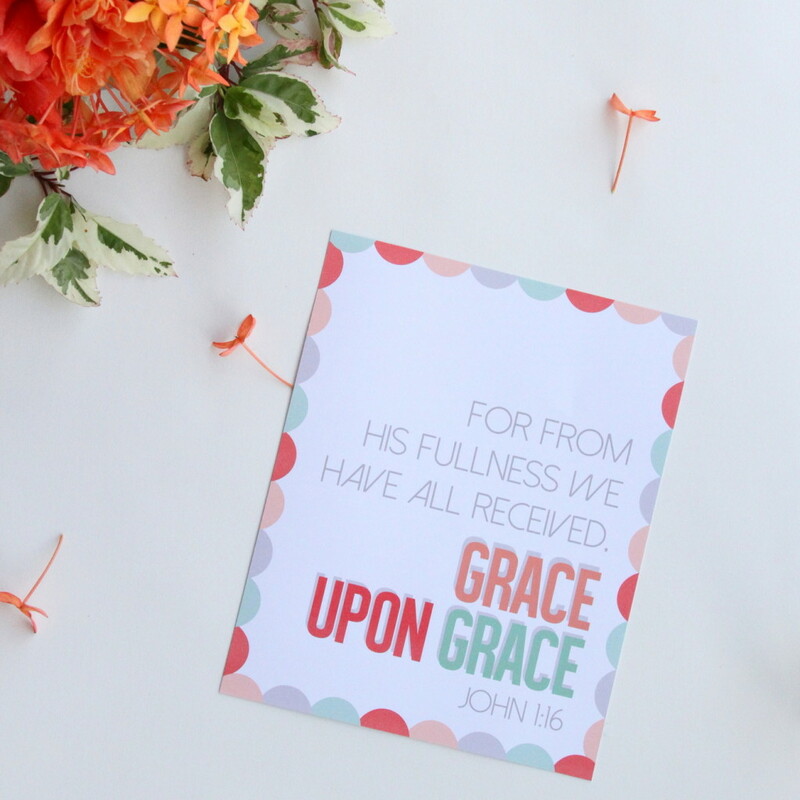 It’s an especially fitting verse for next week’s Thanksgiving celebration, right (I think we’re going to put this one on our Dessert Station)? 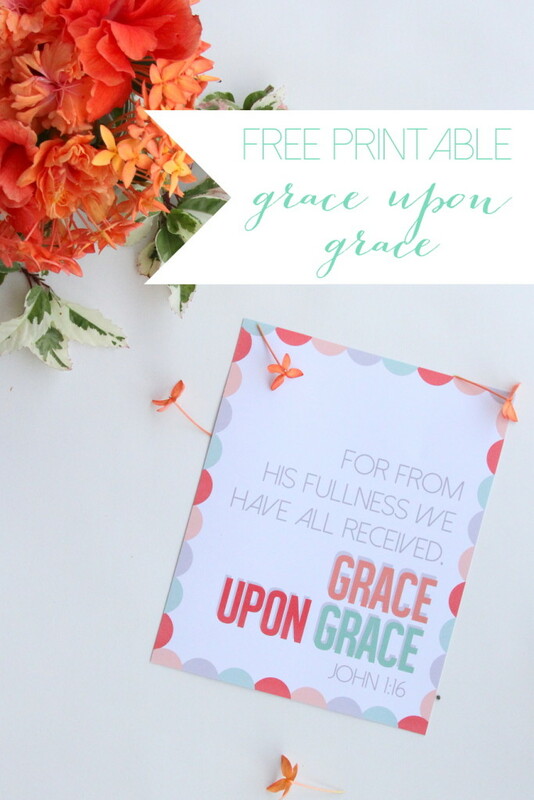 Get the grace upon grace printable here.